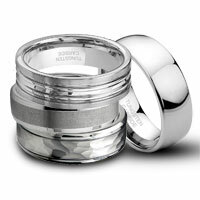 Through your wedding ring, you can show everyone your commitment to each other. 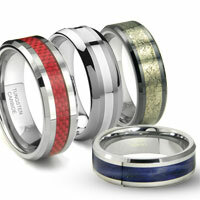 Also, the ring will personally represent your strong characters. 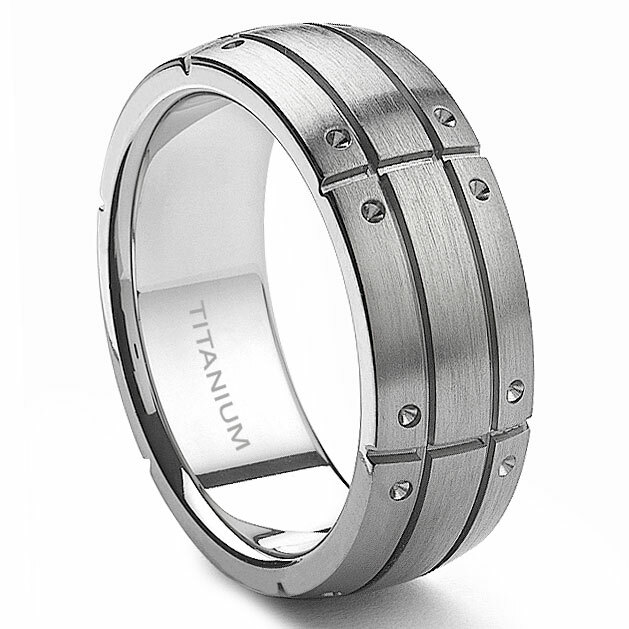 The design of this titanium ring is a great example of a thoughtful creation which reflects your masculinity, and at the same time, making you look terrific. Looks exactly as displayed, Great fit. 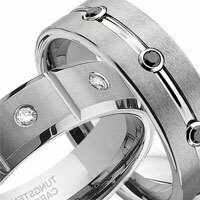 I like the ring but I am shocked at how much it get scratched. I should of ordered the Tungsten. I expected this ring to be larger (wider) and a bit more shiny. Looks "metal" instead of silver. It is very dark gray and this little dots are tiny. I bought this to be engraved as an anniversary ring and had him try it for 2 days before sending back for the engraving and it scratched horribly. I would shop around. The Titanium ring I ordered came quicker than I expected. It also is amazingly comfortable. 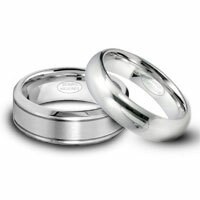 We bought this ring in celebration of our 25th wedding anniversary. I wish I had known about this ring 25 years ago. My FH loves this ring and can't wait to wear it, We had to exchange for 1/2 size smaller and got it engraved it was very quick and excellent service. 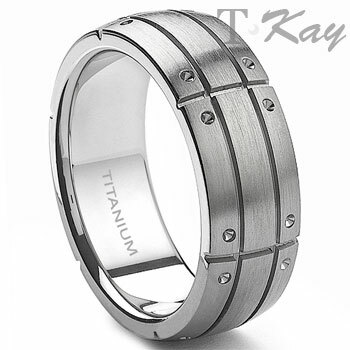 Thank you Titanium kay.